Under their Uganda Joint Christian Council (UJCC), the clerics observed that the current approach of seeking to amend the Constitution through a private member’s Bill is retrogressive as it robs the Constitution of its safeguards. 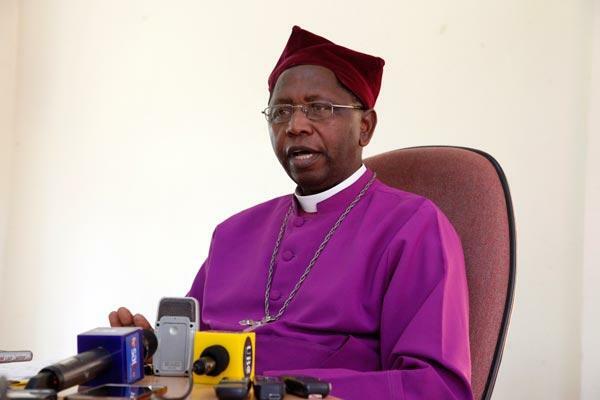 “As things stand now, it is likely that the age limit Bill may be passed by Parliament but we are of the view that the passage of the Bill will leave a huge number of Ugandans deeply antagonised,” said Archbishop Stanley Ntagali, the UJCC outgoing chairperson. “It (Age Limit Bill) will also dampen the prospect for any peaceful and orderly handover of power in the future,” he added. The Age Limit Bill is expected to be tabled for Second Reading on Monday. The Bill that has polarised the country is a private members Bill by Raphael Magyezi (Igara West) tabled for First Reading on September 27. The MPs on the Legal and Parliamentary Affairs Committee have since endorsed the disputed amendments to the Constitution. The Opposition MPs on the committee have drafted a minority report to fight the proposed amendments. The archbishop was delivering the UJCC Christmas message in Kampala, where he sympathised with some Ugandans whose views are being ignored for belonging to the ‘wrong political camp’, saying they feel excluded from the decision- making process that affects the welfare of citizens. “In order to heal and be able to make tangible contributions to the development of the country, all of us should embrace the message of peace,” he said. The archbishop decried the public attitude towards corruption, saying it no longer seems to trigger any sense of shame or remorse on the part of perpetrators. “Corruption is an evil that is condemned by scripture…. We also wish to remind the government that not enough is being done to fight corruption. As a result, the perpetrators have become emboldened. Ugandans would like to see decisive actions being taken against people who plunder public resources for their personal benefit,” he said. The archbishop also appealed to the public to reflect and commit the state of the nation and its neighbours in prayer due to the prevailing political upheavals, anarchy and incidents of mysterious killings and deaths. He said there is need for prayers for the church to stand firm and advocate for peace, reconciliation without partiality and to challenge injustice and violence of all kinds.